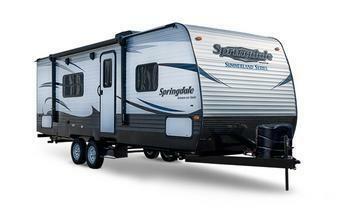 Keystone RV Company is recalling 20 model year 2019 Keystone Summerland recreational trailers, model 2020QB. The federal identification label on these vehicles may indicate an incorrect tire rim size of 15X6, when the correct rim size is 15X5. The incorrect rim designation on the label, can cause the operator to replace the rim with an incorrect rim size, increasing the risk of a crash. Keystone has notified owners, and dealers will replace the incorrect federal label with a corrected label, free of charge. The recall began on July 11, 2018. Owners may contact Keystone customer service at 1-866-425-4369. Keystone's number for this recall is 18-324.